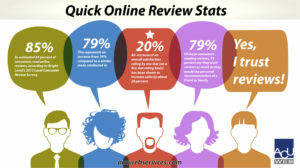 Review websites allow users to make informed decisions by reading reviews of goods, services, and places. It empowers consumers by providing a platform to provide feedback on product offerings purchased; thereby, holding business owners accountable for the quality of their goods and services. In countries like United States, consumer experiences are highly driven by the reviews of products and services. Whether people are trying to book hotels or dine in restaurants, they want to know the prior experiences of others. They go on websites like TripAdvisor and Yelp to read reviews and connect with reviewers to clarify their concerns. When people shop on Amazon, they want to know if the actual product is as described; the shipping time; and durability of the goods. Reviews are particularly important for business engagements that involve commitment for a long duration of time like web development contract or an apartment lease. People don’t want to move into an apartment then find out the landlord doesn’t make repairs promptly, or outsource a website project then find out the programmer doesn’t communicate in a timely fashion. 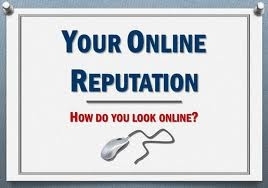 Business owners stand to benefit much by participating actively on review online communities. A research in Harvard shows that just a star rating on Yelp review website boosts revenue for businesses by up to 9%. When business owners participate in review community, they have a chance to learn more about their products and improve them from a consumer perspective. The notion of review community makes common sense: Why take risk on the unknown? Or even worse purchase a product with bad reviews. There is the other notion that review website may reduce revenue for bad products. This can only happen if business owners don’t participate actively in the review community. When businesses participate in review community, they can provide an explanation to dissatisfied customers and offer ways to improve their products and/or compensate the customers. A restaurant owner has an opportunity to apologize to a dissatisfied customer and explain the root cause of the dissatisfaction. The owner can also offer a discount or free meal on the next customer’s visit. Therefore, instead of losing a dissatisfied customer, the business owner gains a customer back, and also shows the community that the business takes customer satisfaction seriously. According to a research study by TripAdvisor, 93% of executives consider the improvement and management of their online reviews as the most important factor to the future of their business. Another survey study shows that reputation management strategy has become a higher priority for organizations than marketing and advertising and staff training. With the proliferation of internet, Nigeria online community has been growing sharply with about 93.5 million internet users: 79,000% increase since year 2000. Ecommerce giants like Jumia and Konga have already integrated a review based system in their online website. However, many traditional businesses in Nigeria such as hotels, restaurants, and apartments haven’t adopted a review based system to differentiate their unique products offerings. NaijReview.com is one of the foremost Nigerian websites to deliver a review community that allows business owners and consumers to interact. In addition, the website allows consumers to review movies, hospitals, political figures, celebrities, and more. While review community is in its infancy in Nigeria, it’s bound to grow rapidly. Consumers can have their voices heard and organizations can reinforce their brand reputation, improve social media presence, and increase revenue.